Middlesbrough of England midfielder, John Mikel Obi will be thanking his stars that he did not have to face a likely air mishap with the team, as officials of the English Championship club called off a flight that would have taken the squad for their next league fixture. Sources learnt that Mikel was among the Boro players that were caught shell shocked and, inadvertently thinking of the missing flight saga involving Cardiff City signing, Emiliano Sala, following alarm bells that hit The Riverside club. It was gathered further that, rather than put Mikel and the other players at risk, the club called off their flight home from Newport County on Tuesday night and the plane was grounded due to engine failure. 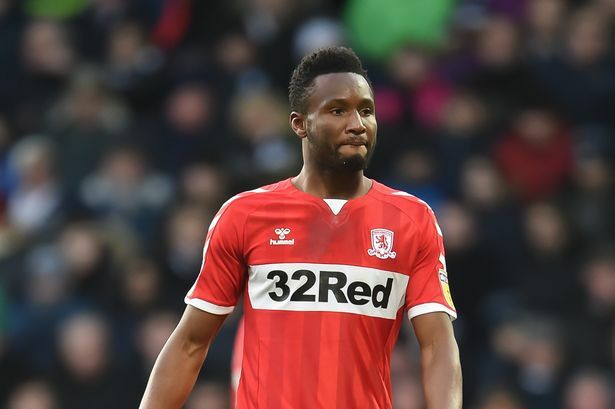 The post Mikel Obi Escapes Plane Crash With Middlesbrough appeared first on LATEST NIGERIAN NEWS BREAKING HEADLINES NEWSPAPERS.